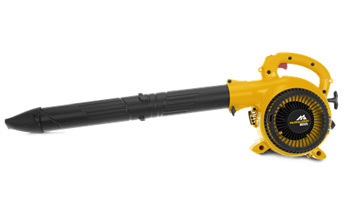 An efficient hand blower for general use around the home and garden. Ideal for clearing grass cuttings, leaves and litter. Slim line, light weight and well balanced, with a 2-stage low emission engine, air purge technology, and powerful blow speed to clean up fast. Equipped with tube attachment for effortless handeling.